If you want to look good every day of the week for work or school, you'll need to get a new wardrobe and mix and match. Check out the "Things You'll Need" list below, and get started. 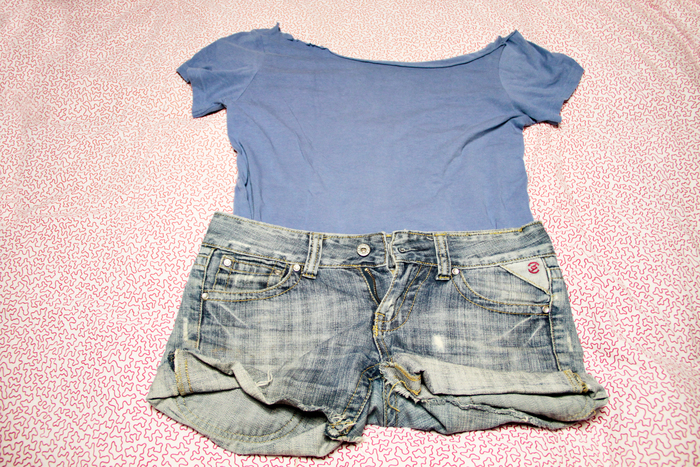 Day 1: Wear an off the shoulder t-shirt with flowy patterns with denim shorts. Wear a brown braided belt and wedge heels.Wear your hair down and wavy, if possible. Day 2: Wear a sparkly tank top with skinny jeans. Accessorize with a nice, practical bag with a bit of pattern on it. Tie your hair back in a casual ponytail with a fun bow or head-band. 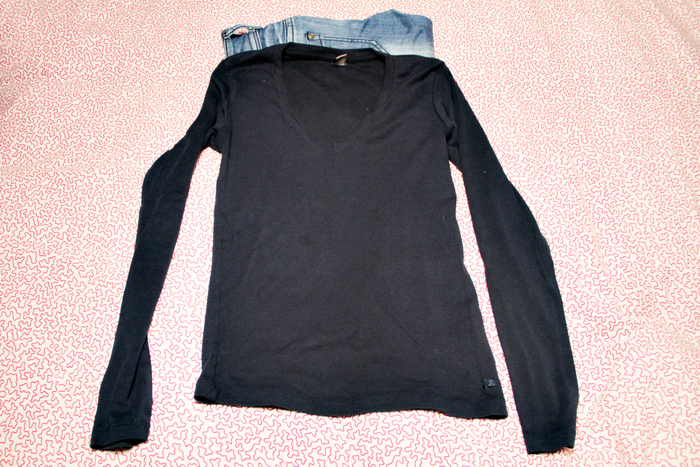 Day 3: Wear a plain, soft colored t-shirt (like pale yellow, pale pink or pale blue). 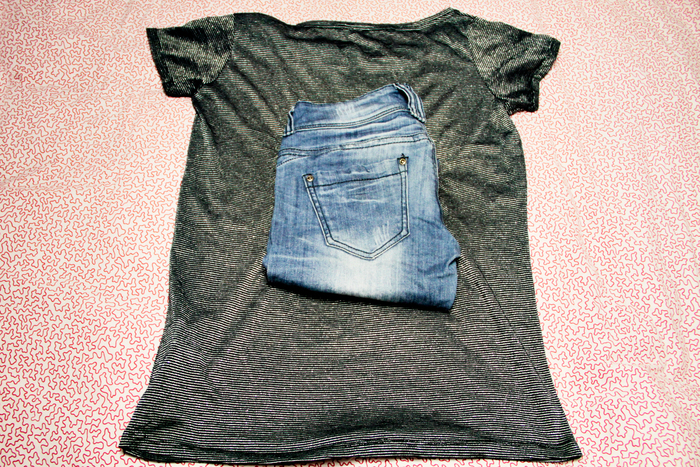 Either wear a plain, no detail denim shorts, or jeans. Accessorize with bright tights if you are wearing a shorts! If you have a shorts wear your hair in a tight bun, and if your wearing jeans wear your hair down and strait. 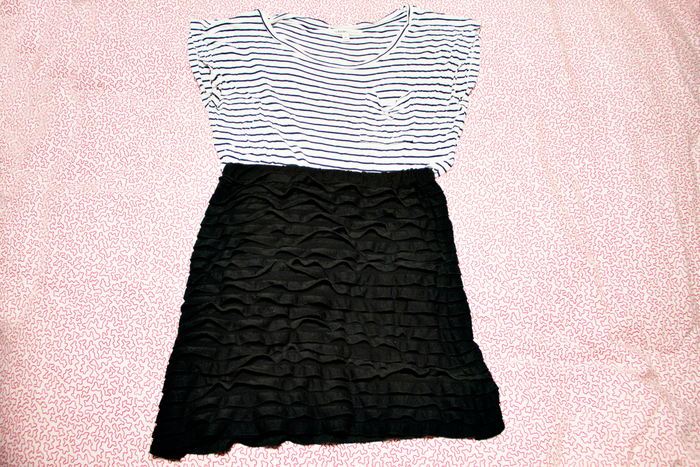 Day 5: Wear a black and white stripy off the shoulder tee, and a short black skirt. 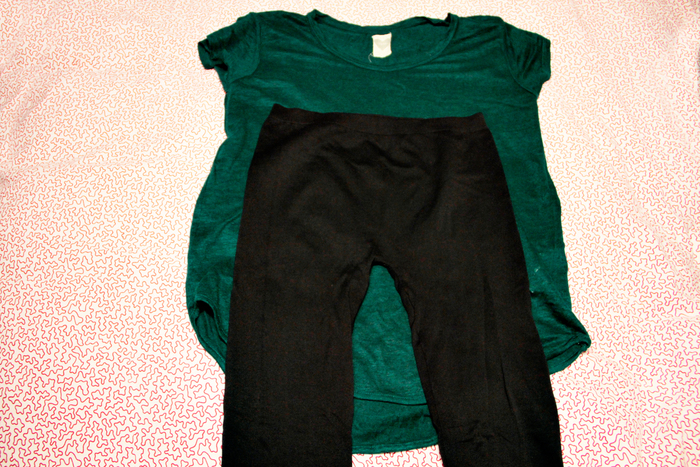 Accessorize with green lace patterned tights. 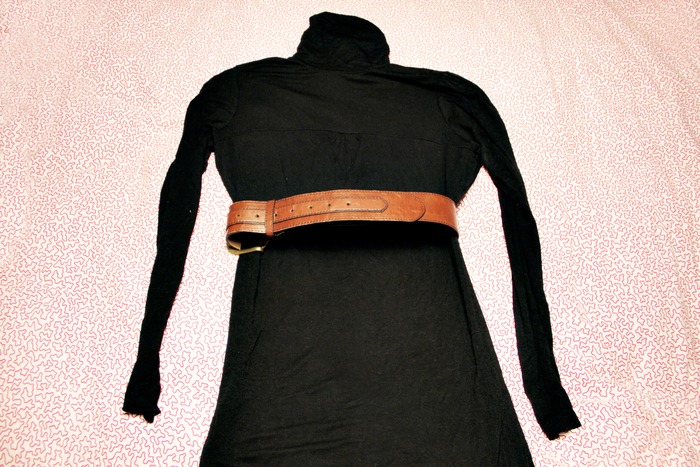 Day 6: Wear a long top, and fasten a belt over your hips, but over the top as well. Wear a short skirt and a grey jacket. Accessorize with a bead necklace. 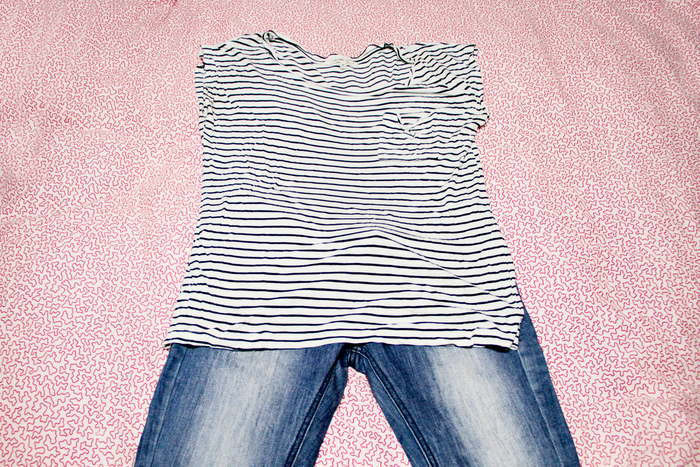 Day 7: Wear a black and white striped jumper, a silver belt and jeans. Accessorize with a silver necklace. Wear your hair braided. Choose clothes that fit well! Don't think that too tight clothes are a good look! Choose cute shoes and boots and team them with each outfit! For some days where hairstyles are not put down, do what you want with your hair! Before you go out, check that everything looks right.